Your everyday winter jacket, inspired by Alpine glamour. 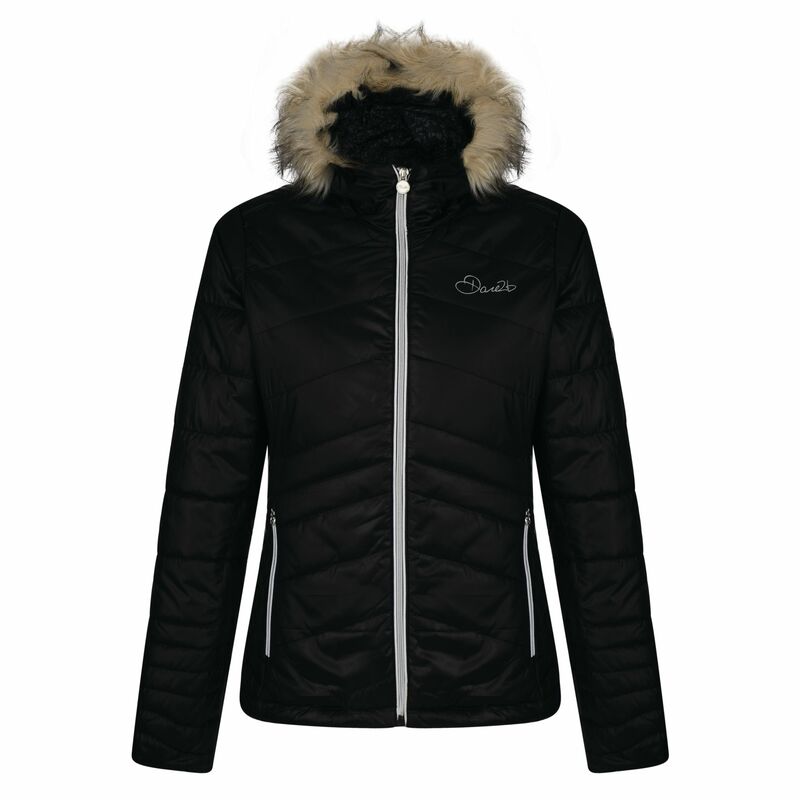 Hip-length, showerproof and quilted for warmth. Made from high-shine polyester. Soft-touch. Insulated with our quick-drying, down-touch fill. 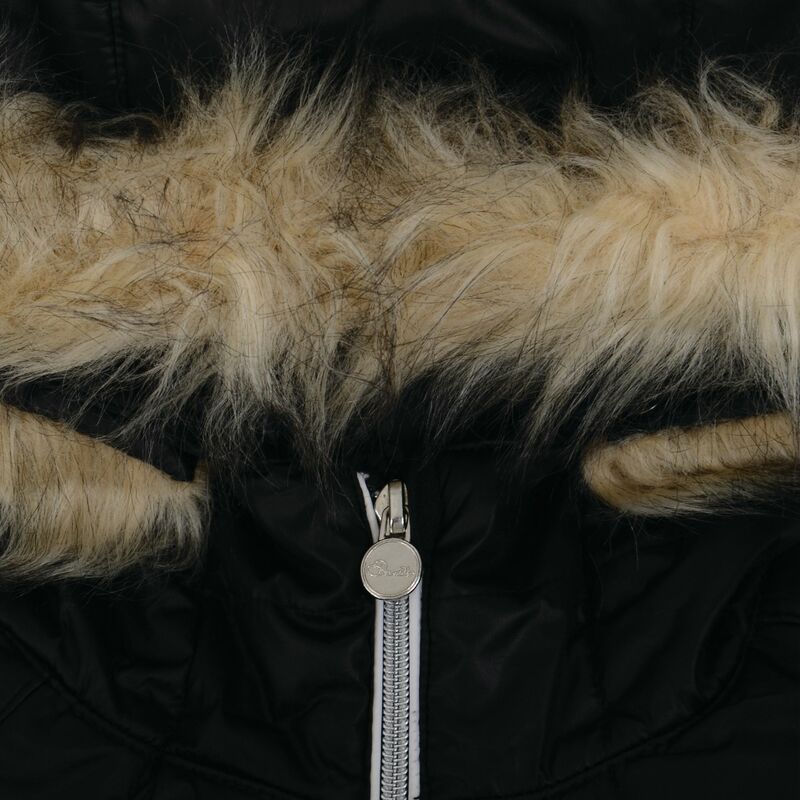 Snug hood with gorgeous faux-fur trim (detachable). Adjustable hem to seal in the heat. Zipped inner pocket and a headphone port to stay on beat. For weekend walking, daytime errands and aprs-ski.